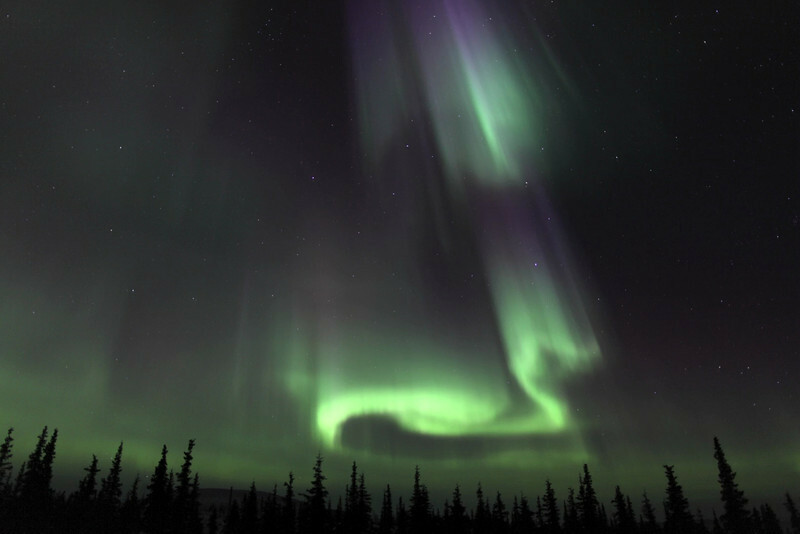 The most breathtaking auroral displays of the season occurred on March 16-17, 2013 - it became an all-night event at the Arctic Circle in Alaska and likely one of the best Northern Light shows for the entire Solar Cycle thus far (Cycle 24). Note the barely visible but brightening comet Pan-STARRS as the sky darkens in part 1 of the time lapse movie. 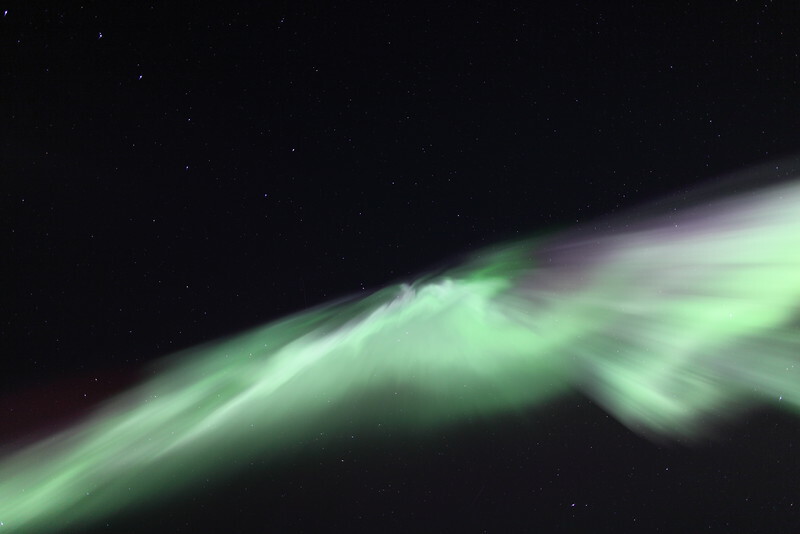 The comet is setting on the horizon as the show was about to begin. 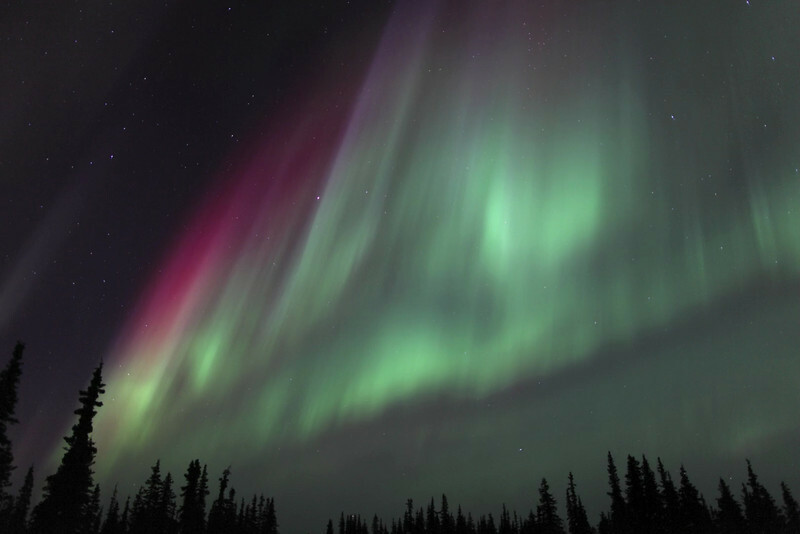 The all-night time lapse video - once assembled - required a total of 7,628 images captured during a 10 hour session between 09:30 PM on March 16 and 7:30 AM on the following day (05:30-15:30 UTC on March 17), a staggering amount of 226.06 GB of raw footage - all equal to 8 minutes of final time lapse generated and to be assembled for the scheduled raw footage presentation at dawn (at the end of clip 4) before heading North to the Brooks Range. 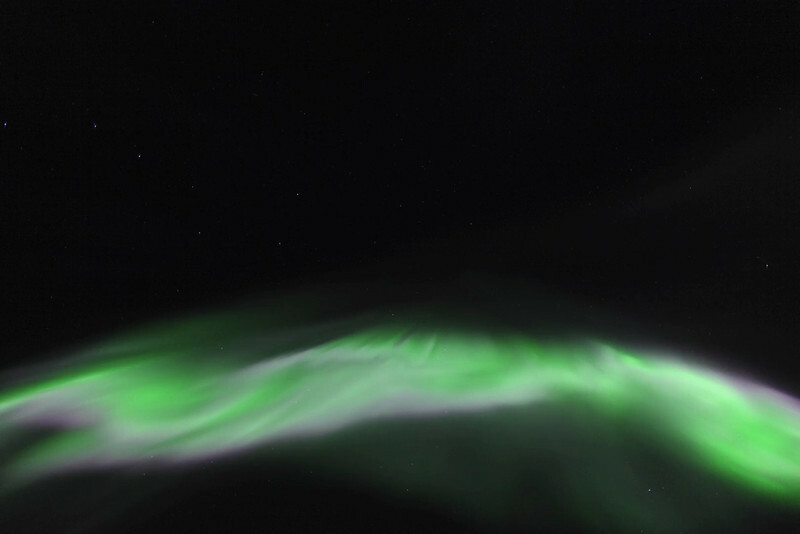 The colorful Northern Lights of March 16-17, 2013 at the Arctic Circle in Alaska. This is part 1 of the 4-part time lapse video. 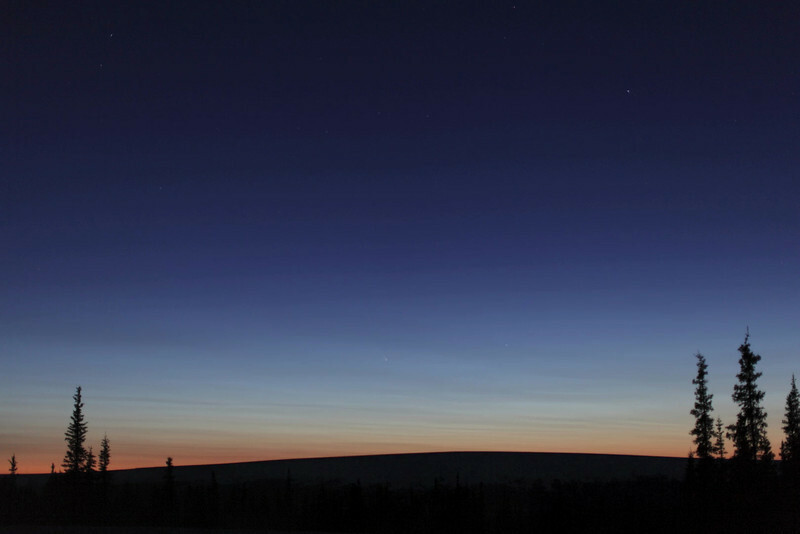 Note the ever brightening comet Pan-STARRS setting on the horizon in this 1:08 minute clip. 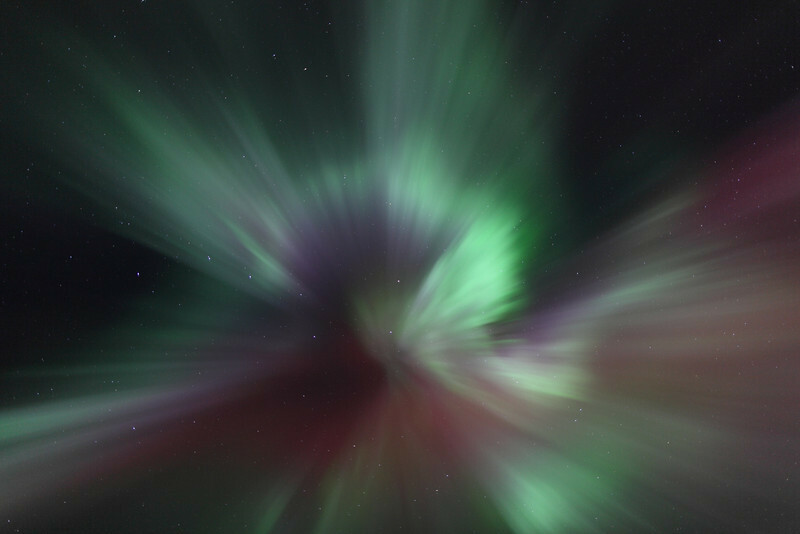 Bonus clip: A very rare multi-colored corona (auroral display overhead) in motion - captured early on March 17, 2013.